Three bottles from California show that winemakers don’t have to own vineyards to make delicious wine. By relying on trusted growers, vintners procure grapes — frequently off the beaten path — to craft pours that are uniquely theirs. 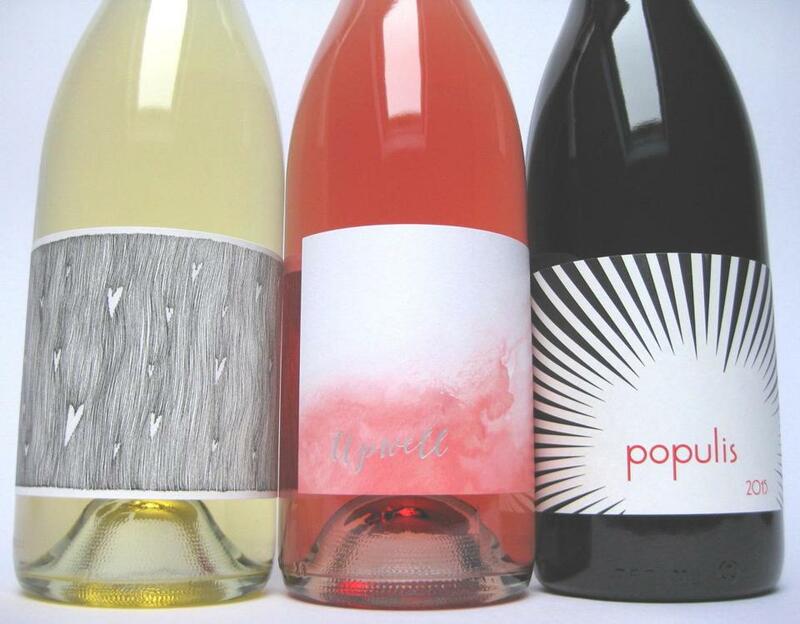 Eric Clemons, owner of Coeur Wine Co., a New York importer and distributor, talks about how he connected with the grower who supplies grapes for his “Upwell” California Rosé. Clemons was telling winemaker Samantha Sheehan, of POE in Napa, how difficult it was to find an under-$20 American-made pink for his portfolio. “It was the trickiest thing to find,” he says, lamenting that many bottles in this price range reflect quantity over quality. “Sam said, ‘So do it yourself,’ ” he recalls. She took the lead on making the wine, and introduced him to one of the preeminent vineyard managers in Lodi, in California’s Central Valley. Clemons was glad to meet Markus Bokisch, whose reputation is well established. While the grower oversees the farming of thousands of acres, he is also known for his smaller-scale, artisanal efforts. That includes his own winery, where he honors his Catalan heritage by growing and vinifying Iberian grapes. That’s how the latest vintage of “Upwell” came to feature tempranillo. “The cuttings are from Ribera del Duero,” says Clemons of the vines’ Spanish provenance. Plus, he appreciates that the varietal is not among the usual suspects. “I like to find grapes that are underappreciated and that can work for rosé,” he says. Diego Roig, together with friend and business partner Shaunt Oungoulian, makes “Populis,” a red crafted from four varietals grown across five different vineyards. The zinfandel in the blend hails from Ukiah, Mendocino County, tended by Larry Venturi, a third-generation farmer whose family has planted some of the oldest vineyards in the area. Grapes are dry-farmed and cultivated organically. Roig considers Venturi a mentor as he and Oungoulian are now farming a few plots themselves. Oscar Ramos-Torres, grower of the fruit used in Broc Cellars’ “Love White,” also farms organically. Winemaker Chris Brockway calls him a friend. These vines, located south of Yosemite in Madera Foothills, are situated at 1,350 feet above the valley floor, providing advantageous growing conditions for white Rhone varietals — including the delicately acidic marsanne grape — from which this lovely white blend is made. As you sip these appetizing pours, it’s easy to imagine that these winemakers and growers share Clemons’s sentiments. “I want people’s takeaway to be, ‘Oh, that’s good!’ and get another bottle,” he says. Broc Cellars “Love White” 2015 Judiciously handled oak supports aromas and flavors of yellow tree fruit, white floral, and mineral, offering fresh, delicate acidity. Around $20. At City Liquors, Cambridge, 617-945-0095; Dave’s Fresh Pasta, Somerville, 617-623-0867. Upwell California Rosé 2016 Waterfall-fresh with cling peach on the nose, and a tart palate of crunchy peach, lemon, and a burst of salt. Around $18. At Social Wines, South Boston, 617-268-2974; Inman Square Wine & Spirits, Cambridge, 617-945-2902. Populis Red Wine 2015 This tart-savory red is entirely crushable, celebrating ripe berries, blue flowers, and plentiful tannins. Around $24. The Wine Bottega, North End, 617-227-6607; Streetcar Wine & Beer, Jamaica Plain, 617-522-6416.